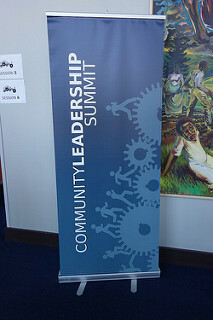 My Saturday kicked off with the Community Leadership Summit (CLS) here in Portland, Oregon. 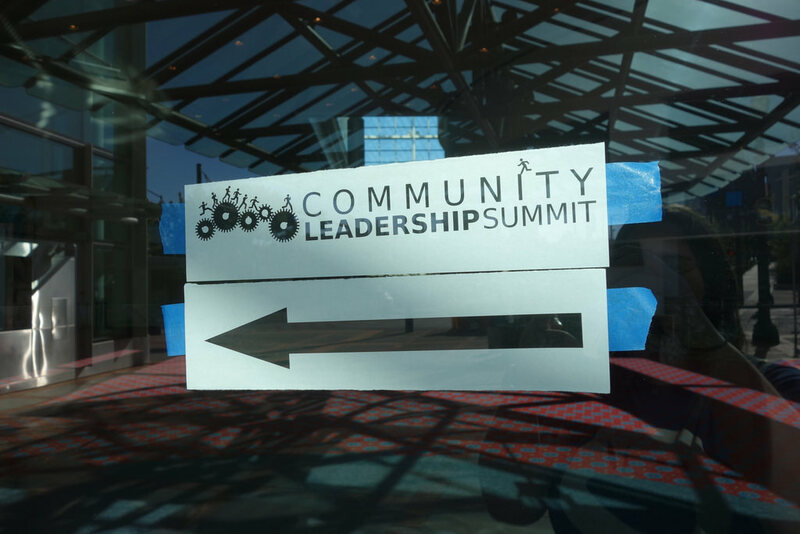 The day continued with a series of plenaries, which were 15 minutes long and touched upon topics like empathy, authenticity and vulnerability in community management roles. The talks wrapped up with a Facilitation 101 talk to give tips on how to run the unconference sessions. 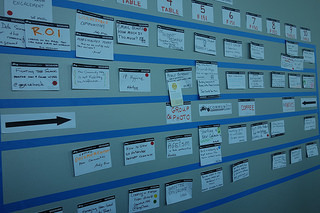 We then did the session proposals and scheduling that would pick up after lunch. As mentioned in my earlier post we had some discussion points from our experiences in the Ubuntu community that we wanted to get feedback on from the broader leadership community so we proposed 4 sessions that lasted the afternoon. Some folks don’t see themselves as “Leaders” so using that word can be intimidating, if you find this is the case, shift to using different types of titles that do more to describe the role they are taking. Document tasks that you do as a leader and slowly hand them off to people in your community to build a supportive group of people who know the ins and outs and can take a leadership role in the future. Evaluate your community every few years to determine whether your leadership structure still makes sense, and make changes with every generation of community leaders if needed (and it often is!). If you’re seeking to get more contributions from people who are employed to do open source, you may need to engage their managers to prioritize appropriately. Also, make sure credit is given to companies who are paying employees to contribute. Set a clear set of responsibilities and expectations for leadership positions so people understand the role, commitment level and expectations of them. Actively promote people who are doing good work, whether by expressing thanks on social media, in blog posts and whatever other communications methods you employ, as well as inviting them to speak at other events, fund them to attend events and directly engage them. This will all serve to build satisfaction and their social capital in the community. Casual mentorship of aspiring leaders who you can hand over projects for them to take over once they’ve begun to grow and understand the steps required. 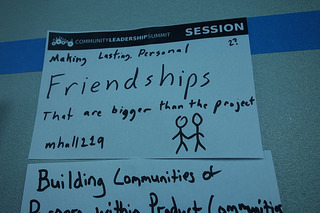 This was an interesting session that was proposed as many of us found that we built strong relationships with people early on in Ubuntu, but have noticed fewer of those developing in the past few years. Many of us have these friendships which have lasted even as people leave the project, and even leave the tech industry entirely, for us Ubuntu wasn’t just an open source project, we were all building lasting relationships. 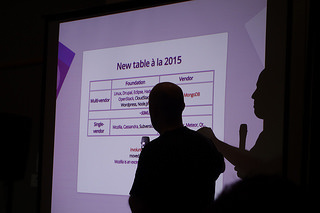 In person events are hugely valuable to this (what we used to get from Ubuntu Developer Summits). Empower local communities to host major events. Provide a space to have check-ins with members of and teams in your community, how is life going? Do you have the resources you need? There was also some interesting discussion around handling contributors whose behavior has become disruptive (often due to personal things that have come up in their life), from making sure a Code of Conduct is in place to set expectations for behavior to approaching people directly to check in to make sure they’re doing all right and to discuss the change in their behavior. 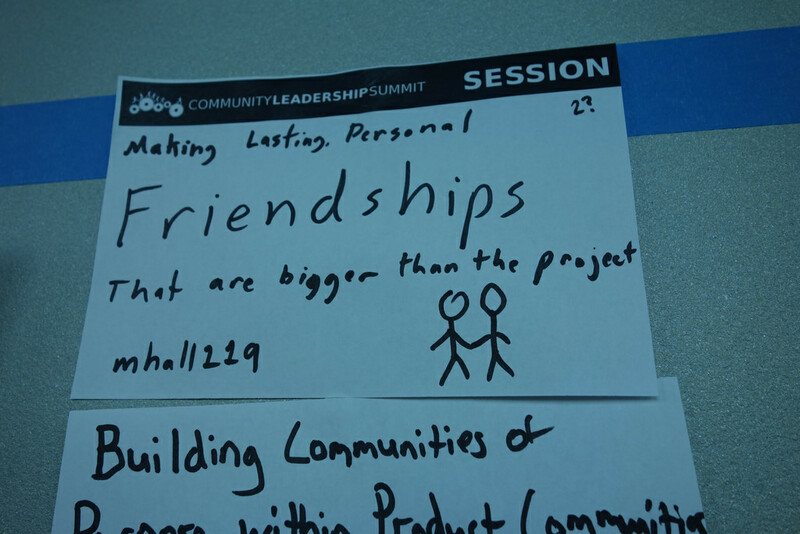 We proposed this session because we’ve seen a decline in community participation since before the Ubuntu Developer Summits ceased. We spent some time framing this problem in the space it’s in, with many Linux distributions and “core” components seeing similar decline and disinterest in involvement. It was also noted that when a project works well, people are less inclined to help because they don’t need to fix things, which may certainly be the case with a product like the Ubuntu server. In this vein, it was noted that 10 years ago the contributor to user ratio was much higher, since many people who used it got involved in order to file bugs and collaborate to fix things. In one company, the co-founder set a community expectation for companies who were making money from the product to give back 5% in development (or community management, or community support). Put a new spin on having your code reviewed: it’s constructive criticism from programmers with a high level of expertise, you’re getting training while they chime in on reviews. Note that the community must have a solid code review community that knows how to help people and be kind to them in reviews. Look at bright spots in your community and recreate them: Where has the community grown? (Ubuntu Phone) How can you bring excitement there to other parts of your project? Who are your existing contributors in the areas where you’ve seen a decline and how can you find more contributors like them? Share stories about how your existing members got involved so that new contributors see a solid on-ramp for themselves, and know that everyone started somewhere. Make sure you have clear, well-defined on-ramps for various parts of your project, it was noted that Mozilla does a very good job with this (Ubuntu does use Mozilla’s Asknot, but it’s hard to find!). Decisions should happen in a public, organized space (not just an IRC log, Google Hangout or in person discussion, even if these things are made public). Some communities have used: Github repo, mailing list threads, Request For Comment system to gather feedback and discuss it. Provide a space where community members can submit proposals that the development community can take seriously (we did used to have brainstorm.ubuntu.com for this, but it wound down over the years and became less valuable. Make sure the company counts contributions as real, tangible things that should be considered for monetary value (non-profits already do this for their volunteers). Make sure the company understands the motivation of community members so they don’t accidentally undermine this. Evaluate expectations in the community, are there some things the company won’t budge on? Are they honest about this and do they make this clear before community members make an investment? Ambiguity hurts the community. 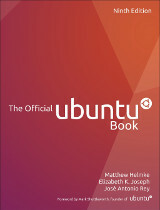 I’m really excited to have further discussions in the Ubuntu community about how these insights can help us. Once I’m home I’ll be able to collect my thoughts and take thoughts and perhaps even action items to the ubuntu-community-team mailing list (which everyone is welcome to participate in). This first day concluded with a feedback session for the summit itself, which brought up some great points. On to day two! As with day one, we began the day with a series of plenaries. The first was presented by Richard Millington who talked about 10 “Social Psychology Hacks” that you can use to increase participation in your community. These included “priming” or using existing associations to encourage certain feelings, making sure you craft your story about your community, designing community rituals to make people feel included and use existing contributors to gain more through referrals. It was then time for Laura Czajkowski’s talk about “Making your the Marketing team happy”. My biggest take-away from this one was that not only has she learned to use the tools the marketing team uses, but she now attends their meetings so she can stay informed of their projects and chime in when a suggestion has been made that may cause disruption (or worse!) in the community. Henrik Ingo then gave a talk where he did an analysis of the governance types of many open source projects. He found that all the “extra large” projects developer/commit-wise were all run by a foundation, and that there seemed to be a limit as to how big single-vendor controlled projects could get. I had suspected this was the case, but it was wonderful to have his data to back up my suspicions. Finally, Gina Likins of Red Hat spoke about her work to get universities and open source projects working together. She began her talk by explaining how few college Computer Science majors are familiar with open source, and suggested that a kind of “dating site” be created to match up open source projects with professors looking to get their students involved. Brilliant! I attended her session related to it later in the afternoon. My afternoon was spent first by joining Gina and others to talk about relationships between university professors and open source communities. Her team runs teachingopensource.org and it turns out I subscribed to their mailing list some time ago. She outlined several goals, from getting students familiar with open source tooling (IRC, mailing lists, revision control, bug trackers) all the way up to more active roles directly in open source projects where the students are submitting patches. I’m really excited to see where this goes and hope I can some day participate in working with some students beyond the direct mentoring through internships that I’m doing now. Aside from substantial “hallway track” time where I got to catch up with some old friends and meet some people, I went to a session on having open and close-knit communities where people talked about various things, from reaching out to people when they disappear, the importance of conduct standards (and swift enforcement), and going out of your way to participate in discussions kicked off by newcomers in order to make them feel included. The last session I went to shared tips for organizing local communities, and drew from the off-line community organizing that has happened in the past. Suggestions for increasing participation for your group included cross-promotion of groups (either through sharing announcements or doing some joint meetups), not letting volunteers burn out/feel taken for granted and making sure you’re not tolerating poisonous people in your community. The Community Leadership Summit concluded with a Question and Answer session. 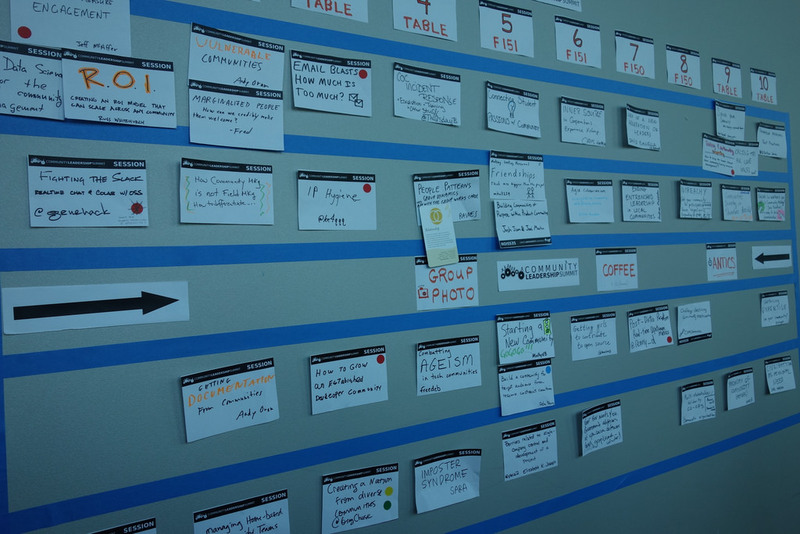 Many people really liked the format, keeping the morning pretty much confined to the set presentations and setting up the schedule, allowing us to take a 90 minute lunch (off-site) and come back to spend the whole afternoon in sessions. In all, I was really pleased with the event, kudos to all the organizers! This entry was posted on Monday, July 20th, 2015 at 10:10 pm and is filed under events, tech, travel, ubuntu planet. You can follow any responses to this entry through the RSS 2.0 feed. Both comments and pings are currently closed. Love your blog, Lyz, and am so sorry that Akademy traveling made it impossible for me to attend CLS this year. I do take issue with the phrase “poisonous people.” I’m sure there are a few such folks, but more often the problems we have are with bad behavior. Call out the behavior, but refrain from labeling a *person. * I also think we need to use the CoC in a positive rather than a negative way. It is not a club, but rather an ideal to which we should all strive. You’re absolutely right. I didn’t participate much in the session so I was mostly puppeting terms from attendees for my notes. I should have thought about it and altered the phrasing when writing about it here. Entries (RSS) and Comments (RSS). 26 queries. 0.087 seconds.